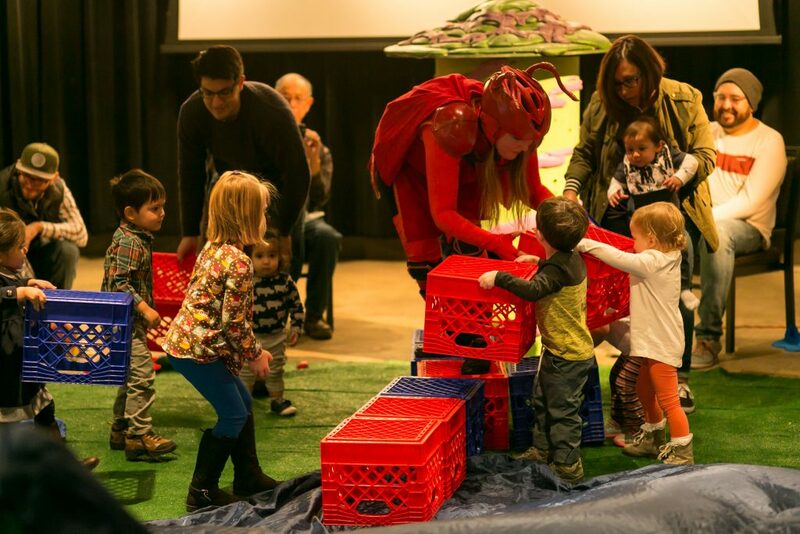 Theatre for the Very Young: See "The Ants Go Marching" again and again. Magik Theatre › News › Magik News › You should see “The Ants Go Marching” again and again. Why Theatre for the Very Young is so important. From “The Ant Go Marching” at the Magik Performing Arts Center. My daughter at her first TVY show, Wake Up, Brother Bear. 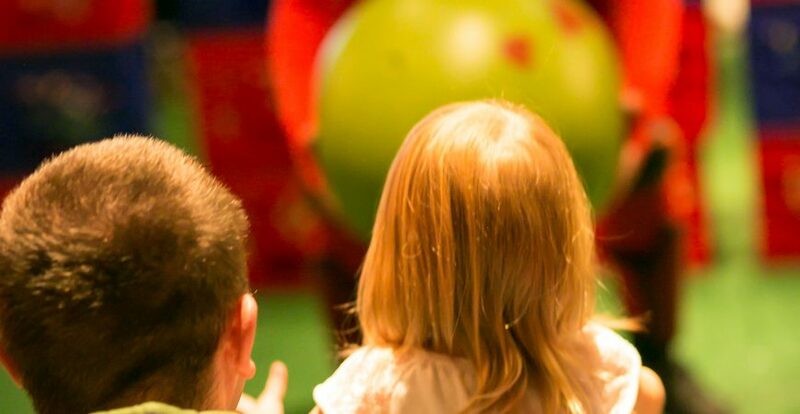 The Magik Theatre has produced Theatre for the Very Young (TVY for short) since 2014. These show are specifically designed for children ages 0-5 and their families. It can be especially difficult to leave the house with little ones, but it is all worth it when we see their faces light up at the show. 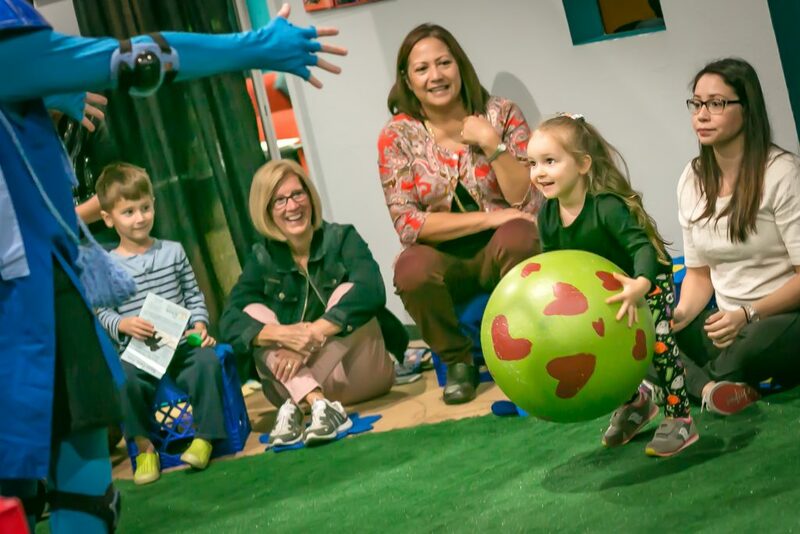 During these TVY performances, we see our very young children bravely help the characters when they need it most, and their ability to comprehend the story and become a part of it always reminds me of why we do what we do here at The Magik Theatre. The last time we went to see The Ants Go Marching. 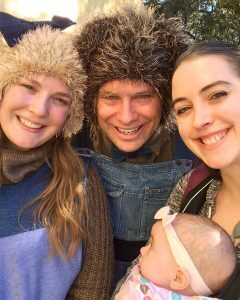 I started bringing my daughter to these shows when she was 4-months-old and we return every couple of months. She is almost 3 now and has changed so quickly that every show has something new for her, and she still has her “rainbow seed” from the first time she saw The Ants Go Marching. ​The Ants Go Marching is our latest TVY show, and was written by one of our very own company members, Carolyn Dellinger Stillwaggon. She plays the Red Ant in the show and her husband, and fellow company member, John Stillwaggon, is Blue Ant. 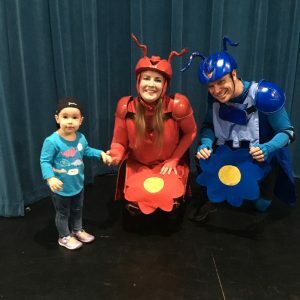 He is a non-verbal character that Red Ant learns to communicate with, despite her learned assumptions about “all blue ants.” This show, like many TVY shows, introduces young children to communicating, problem-solving, confronting difficult emotions (like fear and anger), and fun elements too, like dance, a game of catch and playing with bubbles! My daughter with the large Knuffle Bunny costume. 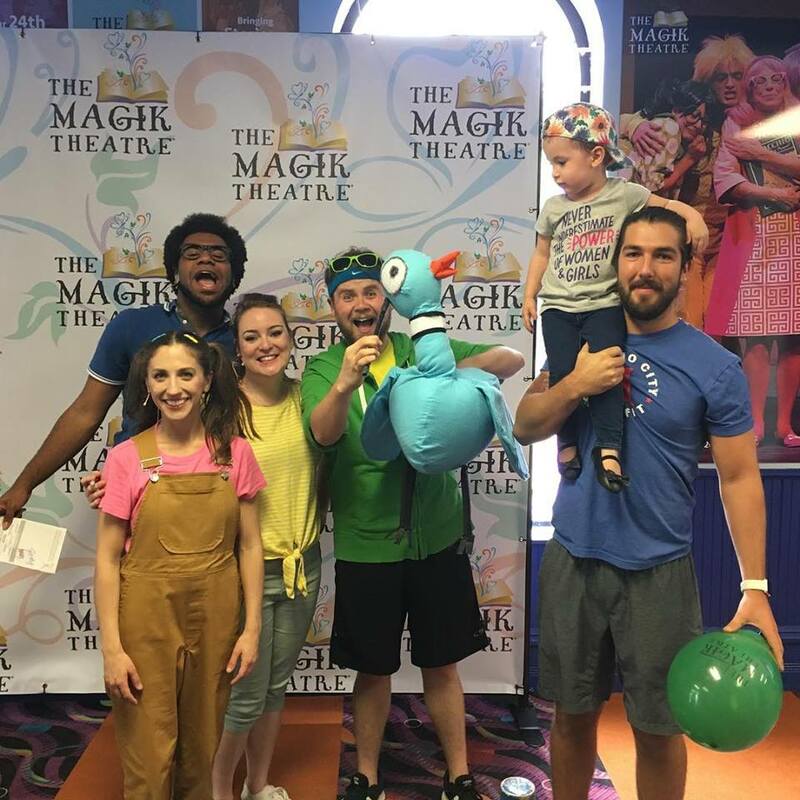 These shows prepare our younger audiences to come to their first shows at The Magik Theatre, where the shows are a little longer and the stories a little more complicated. My daughter has enjoyed some productions on the main stage, but is still too little for others. After she saw Knuffle Bunny, staring down the pigeon puppet. 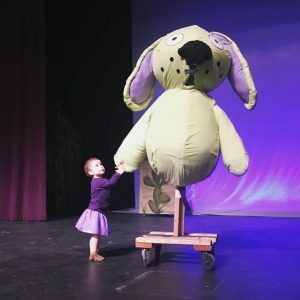 Most recently, she loved Knuffle Bunny: A Cautionary Musical, and was very brave when she went up to meet the “big, big Knuffle Bunny” during a sneak peek for the event. When deciding where to bring your child for entertainment, it all depends on their personality and when you think they are ready. If you are considering bringing them to The Magik Theatre, I highly recommend Knuffle Bunny: A Cautionary Musical as their first show. If you think they aren’t ready, you can bring them to see The Ants Go Marching again and again. Either way, you can’t go wrong! I hope we’ll see you again at the theatre, and never hesitate to contact us with questions. Kids helping Red Ant during “The Ants Go Marching” at Pearl Studio.